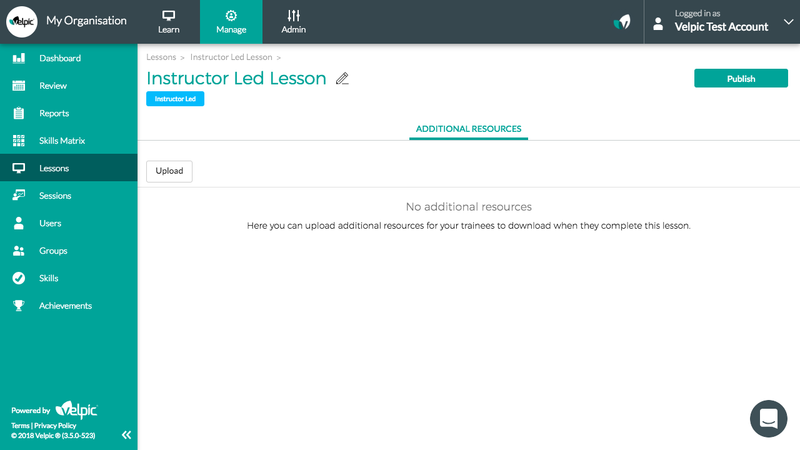 You can create Instructor led lessons from the Lessons page in the Manage tab. 4. Enter the name of the lesson and click the checkbox titled 'Instructor Led'. 5. 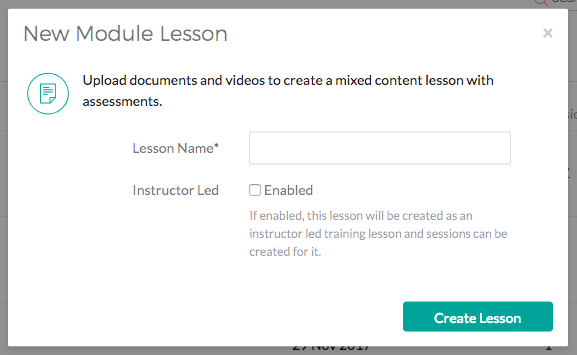 Click the "Create Lesson" button to create your instructor led lesson. On this page you can upload additional resources that will be accessible to the trainee when they complete their lesson. 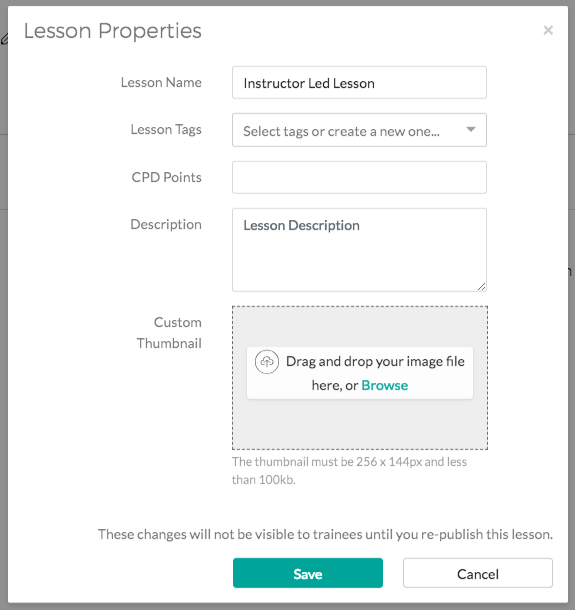 If you would like to modify the lesson name, add a thumbnail, add a description or assign lesson tags, selecting the pencil icon next to the lesson name will open a popup where you can do so. Once you have finished making changes, select save. Select the publish button in the top right of the screen to publish the lesson. Once an instructor led session has been published, you can create sessions and schedule users for the lesson.